Affordable Classes specializes in group classes for Businesses, Child Care or any Other Organization! Above are the new textbooks…Affordable Classes is on the cutting edge! New materials but the old price! 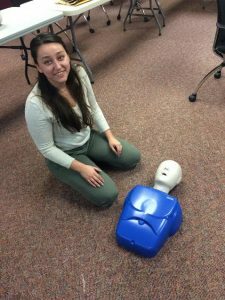 Affordable Classes is a local, independent and fully insured business, and we have been teaching CPR and First Aid in Massachusetts for 25 years. We are now providing classes throughout the entire Western Massachusetts area (including Pittsfield, North Adams and Great Barrington) plus all of Massachusetts, Connecticut and Rhode Island. We will gladly run classes in all of Massachusetts, Connecticut & Rhode Island—Work Place Programs, including First Aid, CPR/AED, Pediatric Programs, Bloodborne Pathogens–for your group when you want them! Affordable Classes provides group classes for businesses, including medical/dental offices, childcare centers, camps, restaurants…we will run your class when you want it–any time, day or shift (with prior agreement). Your group will only pay our low price per student times the number of students. All materials are included in our low price; never any add-on expenses and we will not ask you to join any paid memberships! Affordable Classes requires a minimum of 8 students for a group class. Use the contact form below to let us know you’re interested (or call 413-537-1644). In all courses, students receive a textbook and national certification. We use cutting-edge training materials exclusively from the National Safety Council (Green Cross) which will meet your OSHA and childcare requirements in all 50 states. You deal only with the owner/instructor, no middleman — a nationally certified instructor with 25 years experience in health and safety. To see what our customers have to say about Affordable Classes, click here for Testimonials.